We all know that business is built on relationships and relationships at work come with expectations. Our relationships with our customers, our colleagues and our contacts all bring expectations of what we will do, by when and how we will do it. A firm handshake and an exchange of business cards has been exchanged for a new Twitter follower and LinkedIn invitation. We don’t read reports, we scan an infographic. Instead of hanging out at the Rotary club we publish our own blog post. Career progression is determined more by our online networking skills than our childhood school. We have digitised our business exchanges. This has dramatically increased what we can do in a day, we can literally communicate with thousands of people electronically that we could never reach face to face. Mobile communications and a global industry mean we now work faster for longer. And it doesn’t stop in the office, we check our tablet before we check out for the night. Instead of the paper it is the early morning emails that greet us long before we have arrived at our desk. On the train, in the coffee shop, restaurant and airport we are catching up and checking in. Don’t get me wrong, much of this is good and has improved our standard of living. But if this is price for life in the fast lane, what is the cost? The cost comes in the fragmentation of our personal lives. With everyone wanting a piece of us, what is left for those who set no expectations for delivery? Family life is squeezed and social time disappears. Marriages suffer, kids withdraw, hobbies get neglected, health deteriorates. The cost comes in our isolation. We become islands of activity, a vortex of velocity spinning endlessly. Work life balance slides into fire fighting perpetual emergencies or dispensing quality time to our kids like a Las Vegas slot machine. The cost comes in our superficiality. Much easier to click Like or Accept, than arrange a Saturday evening BBQ. We have 500 acquaintances on Linked in, 1000 Twitter followers, but only 2 real friends ‐ that we see once a year. We skate across the surface of life, only pausing to sharpen our blade every summer holiday. The Business Connection is a charity for such a time as this. It meets you where you are at, seeks to understand what you are dealing with, and lifts you back on your feet. Run by people in the business community we know how easy it is to become caught up and cut off. We are Christians working at the heart of Aberdeen’s business community, with the community in our heart. Coming along to our range of events in Aberdeen to find out more. In the business community, a life connection…The Business Connection. What good are your beliefs when you’re against the wall? Last Sunday I spoke on the subject of biblical forgiveness from Matthew 18. The message is available to download here or listen online here. The main theme for the sermon was how can God ask us to forgive everyone and yet, he requires reconciliation before restoring relationship, i.e. why do we have to say sorry before we can become part of God’s family? I also used the Amish shootings to try and understand what happens when someone doesn’t ask for forgiveness? Should we still forgive? The article I refer to at the end that was written about the incident can be found here. We also touched on some of the practicalities of how this works in the church in the midst of our messy lives and unfinished characters. How can we live in unity whilst not overlooking areas of sin in the church family? It was a tough subject and worthy of much deeper study, but ultimately a vital issue to understand as forgiveness is one of the chief characteristics of a genuine faith. It is the litmus test of the reality of God’s grace in our lives. I pray it will be a blessing to you. How do we disciple the next generation of Christians in an increasingly anti-Christian society? How does a marginalised church thrive and not just survive at the grassroots level? Are our discipleship practices still relevant for the 21st century, if not how do they need to change? 1. Discipleship must start with the heart. For those with a family the first priority for discipleship is the home. Someone once said “As goes the husband, so goes the marriage, as goes the marriage so goes the family, as goes the family so goes society”. We live in a broken society; much of this is down to the destruction of families and the decay of men as stable husbands and fathers. Are we willing to take the challenge to strive to be men of purity, faithfulness, courage, discipline, kindness and generosity? 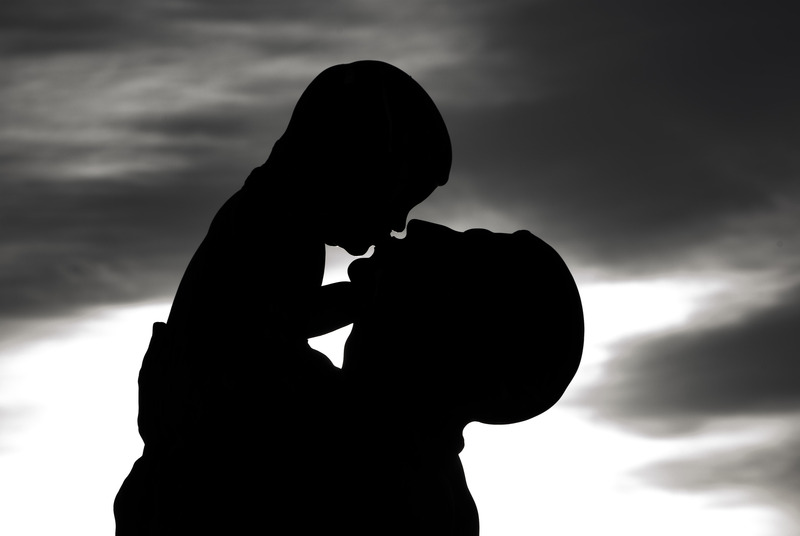 If we are fathers then our number one discipleship priority is our children and our wife – if we neglect these, all else will ultimately be futile and our discipleship of others ultimately unsuccessful. How much time and effort do we invest discipling our children? How is our inner life? 2. Rediscover whole-life discipleship. Inadvertently we have come to believe that the Great Commission is primarily fulfilled by Christian missionaries and pastors. We have divided the secular and the sacred and said that the secular has little purpose or significance in God’s redemptive plan. However, the Great Commission can only be fulfilled when the 99% of us who are not in full-time Christian work step up to the task and take our responsibility for discipleship seriously. We must once again see that all of our lives, in every part, is a response to God’s calling and mission. Our discipleship must embrace the footy team, the golf course, the office, the university halls and the school canteen. We must realise that a life lived out in service to the common good of society is pleasing to God. Our discipleship must grow beyond only being about spiritual truisms and become intensely practical. The best way to glorify God at your work is firstly to be excellent at your job. 3. Seek to embed discipleship in community. Through the fracturing of society and the marginalisation of the church we have ended up compartmentalising our lives. We have our work, our home, our church and our friends – all distinct and separate. The power of the gospel increases dramatically as we close the circle between our family, school, church and social lives. How is the community to see the unity and love we have for each other, if we are always leaving that community to drive to a distant church? We hide the power of grace-filled lives behind the walls of our buildings when we create preaching stations divorced from the communities we live in. 4. Discipleship for all. When did Jesus start discipling his Disciples? Before they were Christians or after? Before of course. Why then do we think discipleship only applies to our fellow Christians? It is very easy for many of us to become so busy with church work that we have very few friends who are not Christians. This is a tragedy. How many non-Christians are you discipling? You may well be doing this without even realising. When we think of evangelism we start to get sweaty palms and dry mouths and feel pressured to get the message right. If we start to see our words and actions together as discipling non-Christians then it takes the pressure off us. As we live alongside them, providing the level of interaction is high enough, our conversation will naturally challenge and encourage them. I used to think discipleship was what I did when I met up with a Christian friend for coffee and bible study once a fortnight. I now see that my discipleship starts as soon as I get home at night, or get into work, or head out for a drink. I’m not saying that we shouldn’t set aside planned time for one to one discussions. Not at all, these times are precious, if we have that time to invest. However, if we are intentional and natural then it will liberate us to see all of life as our discipleship arena. The following is a talk for a children’s prize giving service, where there were lots of kids and I only had 20 minutes. It’s a quiz / message montage experiment! Sometimes it is easy to over-complicate the gospel and lose sight of its simplicity. How would you summarise it in one sentence? Simply put it is this: “God sought you beyond all the mess that you might desire him above all the gifts.” Note that God is the active one – he initiates the action; secondly God seeks – we are not the seekers, God is the original missionary, seeking us. Thirdly “beyond the mess” – God is not looking for people who have all the answers. He specialises in the mixed up, confused, failed. Whether we admit it to other people or not, we can hide it from everyone, but not God. For what purpose does he seek us? To save us from hell? Give us a ticket to heaven? To be happy? To make our lives more fulfilling? No, ultimately He saves us to give us a new passion in life. In Mark 8.34 & 35 we read “If anyone would come after me, he must deny himself and take up his cross and follow me. For whoever wants to save his life will lose it, but whoever loses his life for me and for the gospel will save it.” God wants to give us a greater passion for him than our own selfish desires. A passion for him that exceeds our passion to seek what we want in life. This is to be our passion, to desire him alone. Greater even than our natural (and right) desires for his good gifts. Many of us never get beyond the gifts – family, security, love, possessions and material blessings. He saves us to desire him above all these things. That was what the cross was all about, God rescuing a people not just from slavery, but to himself. Want to think about what this means by listening to some of our poets – through their music…but first some disclaimers (slide 3; all slides are available here). Then I started the quiz, rules are on slide 4. I split the room into the under 18’s and the over 18’s. Each took it in turns to guess the singer, the song (when I read out the lyrics) and the year. 1. Robbie Williams – Candy (2012). Lyrics: “And if it don’t feel good what are you doing it for?” Comment: Are our feelings the best guide for judging what is right? Feels good = do it; feel bad = don’t bother. This is the exact opposite of Jesus’ call to self-denial and delayed gratification in Mark 8.34. Also read out lyrics from Feel (2002) “I just wanna feel real love, feel the home that I live in. Cos I got too much life running through these veins going to waste.” Comment: We all have a longing for meaning, purpose, acceptance, love from those around us. 2. Lady Gaga – Born This Way (2011). Lyrics: “It doesn’t matter if you love him, or capital H-I-M, just put your paws up, ’cause you were born this way”. Comment: Are we really perfect as we are? Is the message “you don’t need to change God loves you just as you are”? Jesus said, unless you are born again you cannot enter the kingdom of God. Must be born twice. Someone once said that “God loves you too much to leave you where you are”. 3. Adele – Don’t You Remember (2011). Lyrics: “When was the last time you thought of me, or have you completely erased me from your memory?..But I know I have a fickle heart and a bitterness and a wandering eye and a heaviness in my head.” Comment: We all make mistakes. We all want unconditional love and acceptance. But is that the kind of love we give to others? We build our lives around “the perfect one”, and all of a sudden they are gone. Nothing is certain, nothing lasts forever, yet we yearn for this kind of love. 4. The Script – If You Could See Me Now (2013). Lyrics: “I still look for your face in the crowd, oh if you could see me now. Would you stand in disgrace or take a bow? Oh if you could see me now.” Comment: We all want that acceptance of our family. Deep down we need security. There is nothing wrong with this, if we didn’t get it when we were young, we can spend the rest of our lives doubting others’ love. Can make us struggle to accept the unconditional love of God, which comes as a free gift that we cannot earn. 5. Upsy Daisy – In The Night Garden (2007)…one for the little ones!! No deeper meaning than wanted to give one for the pre-schoolers! 6. Michael Jackson – You Are Not Alone (1995). Lyrics: “You are not alone, for I am here with you. Though we’re far apart, you’re always in my heart. You are not alone.” Comment: We all want to be loved and for that love to always be there. It is a beautiful thing to find it in another person. But the call of God is to seek me above all others. To desire me above everyone else and everything else. Even your kids and wife or husband. 7. Joan Osbourne – One Of Us (1995). Lyrics: “If God had a name, what would it be and would you cal it to his face…What if God was one of us, just a slob like one of us, just a stranger on the bus tryin’ to make his way home.” Comment: The point is that God was one of us! He had a name, it was Jesus. We can go through life asking the wrong questions. Not realising that the answers are already there. We sit on the fence with our favourite objections and never give God the effort or rigour that we put into choosing which mobile phone to buy. 9. Matt Redman – Blessed Be Your Name (2002). Lyrics: “Blessed by your name, on the road marked with suffering, though there’s pain in the offering. Blessed be your name.” Comment: Desire is the greatest achievement in our walk with God. Something I am learning more and more in my life: seeking God, praising God, blessing God, should be, needs to be, the one consuming goal of my life. Above every other love, aim, goal or achievement. 10. Charles Wesley – Jesus The Name High Over All (1749). Lyrics: “Happy if with my latest breath, I may but gasp his name. Preach him to all and cry in death: Behold, behold the lamb.” Comment: The greatest desire of my life is God himself, given us through his Son – this is The Greatest Love. His deep, never giving up, never breaking, always pursuing, always patient love. And he calls us to follow him. I also read out And Can It Be? (1738) “He left His Father’s throne above, so free, so infinite His grace. Emptied Himself of all but love, and bled for Adam’s helpless race. Tis mercy all, immense and free, for O my God, it found out me.” He offers us the unconditional love and acceptance we crave – through His Son’s bloody death on the cross and his resurrection. So these are the two ways to live (slide 15). The broad and the narrow, self-centred or God-centred. What I can get vs What I have been given. We are all on one of these paths. If you are not a Christian, not seeking God. He is right here. He offers us acceptance and love that meets our greatest need. He offers us the opportunity to “feel real love for the home that we live in….” Many Christians still wander on the left hand side, we are looking for love and acceptance in the wrong place. The deeper you go in your relationship with God, the less you will need these other pleasures and comforts. So this is the gospel (slide 16). Life is messy, our own poets have shown us that. God is on the hunt…the mess of our lives won’t stop him. He is ready to pour his love into your heart. He is calling you to leave all the faded hopes behind. “You are not alone…God was one of us.” In Mark 8 Jesus says take up your cross, deny yourself and follow me. Leave the self-centred pathway you were born on, and begin the most glorious adventure there has ever been. In this final instalment, I would like to consider what each of the four groups can give to the local church and what each of them need from the local church, before closing with some thoughts on why I have chosen to address this challenging topic. What they need: Opportunities to serve. What they can give: The fact that their work demands are low means they have energy and time to give to serving the church. Along with the next group, this group is most likely to take the leadership positions in the church, as they have the time available to give. Those who are particularly successful in their business may also have talents and experience that they can use in building bridges between the church and the community. What they need: Social interaction – their work offers little satisfaction, they may be looking to be part of something more meaningful. They may also want company if they have lots of time and little challenge at their work. They find their ultimate meaning in their faith, but they may want to have things they enjoy doing outside of work. What they can give: Availability, attendance. They may well be at every meeting, every social activity, forming the glue that binds the group together, being the reliable ones that are always there. First to get there and last to leave. What they need: Lots of encouragement, understanding and support. They need these things even more than those in the top right hand quadrant, as they have little job satisfaction that could help confirm their calling and motivate them to continue. What they can give: They have little time and energy, they can give very little to the church. They may need to be emotionally carried and supported. What they need: Affirmation, understanding, encouragement. They may know that they are where they should be, but may feel isolated and misunderstood. Their motives for sacrificing so much may be questioned and they need to know their church is right behind them. What they can give: 2 hours once a week, maybe more, but sometimes that is all. Some can give more, but may well be sporadic, depending on work level and travel. One important point is that their expression of commitment to the local church from each of these groups will look different to external eyes. For some with fewer demands (left hand side) it may be that “time = commitment”. For those on the right hand side it may be their “convictions = commitment”. They may only seem to give two mites worth of their time to their local church, but like the widow in Luke 21, it may be everything they have to give. I hope these are helpful lenses to look at ourselves and try and understand what different people in the workplace need and what they can give to the local church. I realise this is an over-simplification. In the real world, people’s lives are messier than these neat definitions. The amount of time we have to give to things outside work depends greatly on our family and health situations. There are seasons when our family responsibilities can turn a Sweet Spot job into Passing Time, because of what is happening outside work. Indeed, some jobs mean we oscillate between two or three of these categories. I would like to close out these three posts with some thoughts on why I chose to talk about such a tough issue. Some of the points I raise are painful to hear, highlighting frustrations with what I have seen of how the church responds to the issues that the workplace throws at us. “Why risk being misunderstood, why risk causing offence? Why not rather always say things that everyone will appreciate and like?” I have struggled with these questions, and have searched my own conscience. The first question I ask myself, “Is it what I see really true?” However, even if it something is true, sometimes we do not say things that are true to each other because of the law of love that covers over a multitude of sins. Therefore, the next question I ask myself is “Is it helpful?” Sometimes what is most helpful in the long run is also most painful in the short term. Ultimately, I need to decide if I believe the issues I am raising are so important to me, God’s people and ultimately to God himself, that I am prepared to be unpopular with people I dearly love. I often ask myself what the difference is between being opinionated and prophetic. Strong opinions in themselves do not justify being shared and I realise I risk being labelled as such. Prophetic words are equally challenging, but within them we sense something of the call of God to his people. By being prepared to try and walk this knife-edge, I inevitable risk missing the still small voice of God and offering unauthorised fire. But I am up for the challenge because I believe that God has placed a passionate burden on my heart for his people, the lost and his word. I am prepared to challenge fuzzy thinking among atheists and bear their wrath. Why? Because I genuinely love them. I also have the amazing privilege of being authorised to challenge the assumptions and preconceptions at my work, in order to make our business and strategy more robust. I risk being misunderstood by senior business leaders, but I continue to challenge the business because I care deeply about our future success. I am prepared to challenge false assumptions in the church, why? Because I love it too much to consider my own popularity of more importance than its purity. Through it all my deep desire is that my words would be prophetic rather than opinionated. You and God are the judge of that. For too long the church has viewed the workplace as the space between the church service and the midweek prayer meeting. There may be the occasional sermon or book on the theology of work, and how it pleases God for us to work hard and fair and to do your bit for your family and society. However, this approach misses the subtlety of the changes that have occurred over the last two decades in the modern workplace. Too many Pastors have only a distant memory of what secular work was like and little understanding of the complexities of the modern workplace. No longer do we have one job for life, no longer do we leave our responsibilities in the office when he head out the door, no longer do we live our lives working our whole lives at the local factory or office just around the corner. No longer do we mix with our work colleagues socially at the weekend and get to know their kids. Maybe it never quite reached this nirvana (particularly as the social benefits were often outweighed by financial struggles) but work has undergone a seismic shift in both nature and pace. The modern workplace is transient, distant (both emotionally and often physically) and all embracing. The modern worker will move jobs every couple of years. They may have to re-locate their home numerous times, unless they live in a large city hub. Modern communications means they are contactable 24 hours a day, 7 days a week, even during weekends and holidays. Responsiveness to emails is a pre-requisite for success as important as punctuality to formal meetings. Add into the mix the increasingly global nature of business and, working for an international company can mean frequent long haul travel. Put it all together and you have long hours, frequent out of hours interruptions, pressure, stress and exhaustion. Dear church, newsflash for you – we are fighting to survive, we are straining under phenomenal demands from our work and the consequences of a broken, splinted society. We are putting our limited energy into protecting those that are most precious to us and God – our spouses and our kids. We recognise that we don’t have a perfect work / life balance, in fact, we struggle, and fight to minimise the imbalance. This is the reality that we live with. I recognise that not everyone in the workplace has such demands on them, or to such an extent. My argument is that the church should take the time to understand where people are at and not treat everyone in the workplace as a homogeneous group, dispensing generic advice to all and having the same expectations of all. In my first post on this subject I split the workplace into four categories that are generalisations of the various types of demands work places on them and the rewards it gives (read Part 1 here). In this post I’m speaking as someone in the top right hand box of that quadrant. I admit that these are generalities and sterotypes to some extent, but by their very nature models are simplifications of reality. Good models help us understand reality better. My point is that we need to stop measuring someone’s commitment to God by their attendance, or lack of it, at church meetings. For those that have been put in a position of responsibility and pressure – our modern day Daniel’s and Joseph’s, we need to stop asking, why aren’t they here at our meetings, and start asking, what is God doing through them there? It’s interesting that we never read of Joseph or Daniel undertaking any activity at the local Egyptian or Babylonian synagogue. Their entire ministry was played out in front of the most senior secular leaders of their day…and what an impact those two men had. In the providence of God Joseph saved an entire continent from starvation, Daniel stood true to Jehovah in the heart of the most powerful nation on earth. His testimony brought the most powerful kings of his day face to face with the living God, causing two pagan kings to proclaim the power and majesty of the only living God (King Nebuchadnezzar in Daniel 4.34 & 35 and King Darius in Daniel 5.26 & 27). And so, why do we do it? Why not give it all up and get an easier job, a less stressful life? There are many reasons, but the one I want to mention is one that I have come to realise over the last few months. It starts with a question: which of the four quadrants (see Part 1) is hardest to reach with the truth of the gospel? Both “Sweet Spot” and “Passing Time” have jobs with low demands and are looking for things outside of work to give them meaning. They are more likely to be open to forming new friendships and attending evangelistic courses. Those in “Slave Labour” are more likely to be desperate for something meaningful in their life. Getting time with them may be a challenge, but there is likely to be some interest there, if they are not too disillusioned with life. The real tough ones to reach are those in “Labour of Love” – they have extremely demanding lives and very rewarding work. The only way to reach this group is to run as fast, as hard, for as long as they do. They are not looking to form friendships through clubs, they do not have a wide circle of friends. Often their work is their life. So, if God puts you in that top right hand quadrant and you start to build relationships with people that very few people are able to meet even as acquaintances, you feel incredibly honoured. As you see God working in their lives, you start to think that maybe you should stick around. You start to see your work life imbalance as less an admission of failure, but rather as a ticket of entry. Entry into the lives of a quadrant that the church will never reach through standard evangelistic techniques and methods. It almost feels like you are undercover! Except you are hiding nothing. But you are there on your own, no support team, no backup plan. The church may not understand or affirm your calling, but you know deep inside that God has his hand on your life and those around you. Be blessed all you Josephs out there…you know who you are! An email arrived in my Inbox last week – “Come and hear about how to improve your work / life balance at our meeting next week…spaces available”. I couldn’t help laughing as I commented to my colleague “I would love to go, but I’m too busy!” My job demands virtually all of my available energy, after the family and work there is very little to give to anything or anyone else. Many of my friends are in the same position, with young families and high pressure jobs, often with long commutes &/or travel. As I thought about how my life has changed over recent years, I realised that very rarely in life do you achieve a real balance between work and life. As someone once said “we should work to live, not live to work”…agreed, but what if you find yourself in a job where work is (almost) your life? Did God intend me to this busy? To have so little time to give to a social life, hobbies, involvement in church…the list goes on. Does the fact that I enjoy my job so much and believe that God made me in such a way as to thrive in this job justify the sacrifices that I make? How do the rewards (and I’m not thinking financial) we get from our jobs compensate for the demands those jobs place on us? Is it ever possible to have Work vs Family / Friends / Church in perfect balance? I tried for a long time to carve out more time away from work to make time for Christian ministry (in particular evangelism), but at each turn God shut the door and only increased the demands and responsibility of my job. The workplace has changed dramatically in the last 20 years, with increasing mobile communication eliminating the boundaries of the office and encroaching into family time. There is, I believe, more pressure, more travel and less certainty than there ever has been. In an age of global and instant commmunications it is harder than ever to leave work at work. There is an expectation in many jobs to always be “on”. In some jobs there simply isn’t the option to let things slide for another day. Those outside may tell us to sort out our priorities and be more disciplined and say no…and there is a time to draw the line. But simple solutions are often given by those with little experience of the pressures of not delivering. Where would you put yourself on the matrix? I realise it probably changes day by day (even within the same day! ), but there are probably general trends which play out over the year. Let me ask you, where would you prefer to be? When I was in jobs on the left hand side I longed for more responsibility and greater exposure…now that I’m on the right hand side I remember (almost) what it was like to have free time! 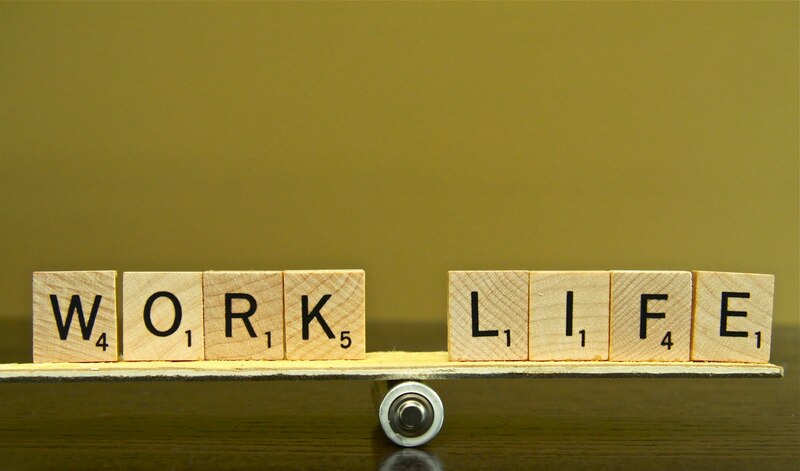 Other posts on work life balance can be found here. Thank you to all of you across Scotland and beyond for your prayers, encouragement and most of all love. We truly appreciate you and are humbled by your love and concern.